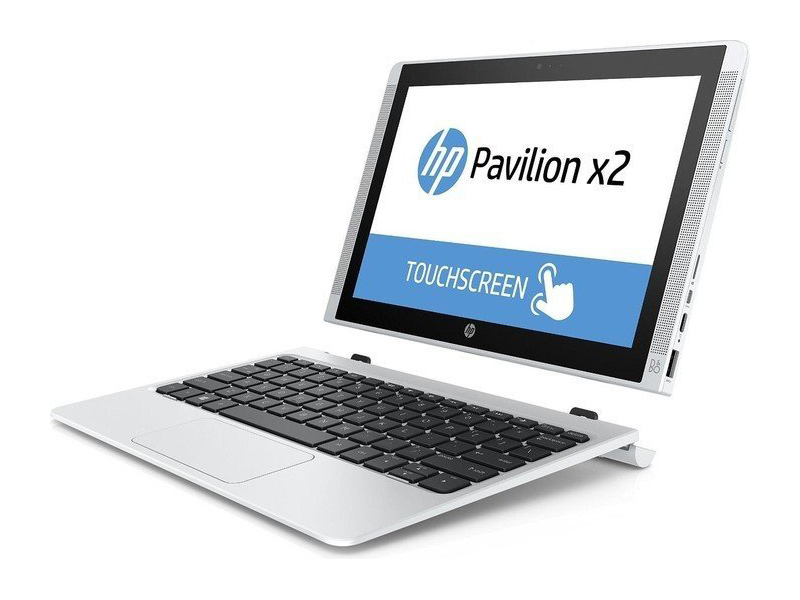 The Pavilion x2 10, which belongs to the HP Pavilion 10 series, is a convertible tablet laptop device, which gives the best of both worlds to users. 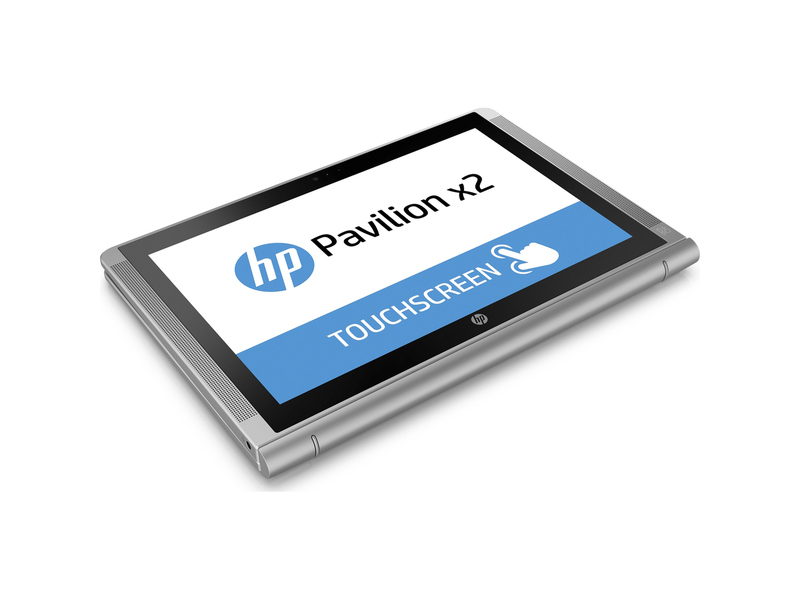 The hardware used on this convertible device is in line with delivering adequate performance. 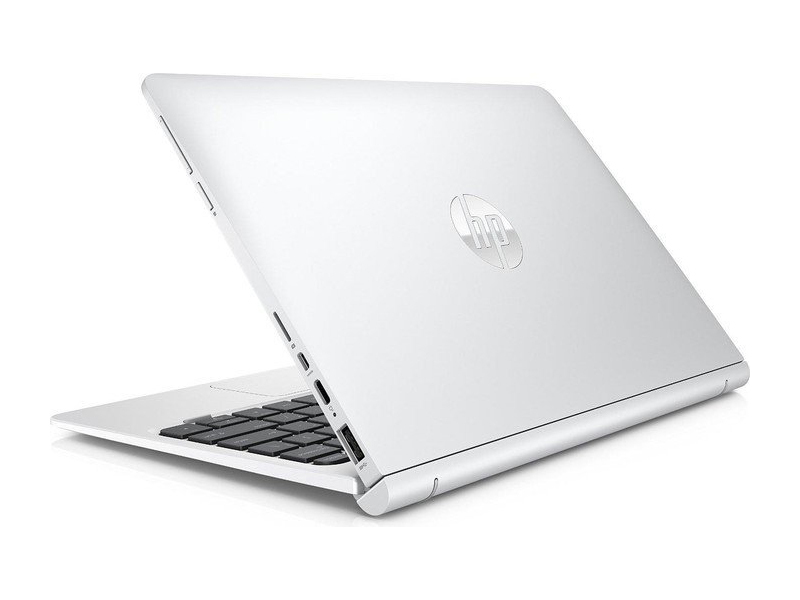 It uses an Intel Atom processor clocked at 1.33 GHz, 2GB of DDR3 RAM, and the integrated Intel HD graphics. 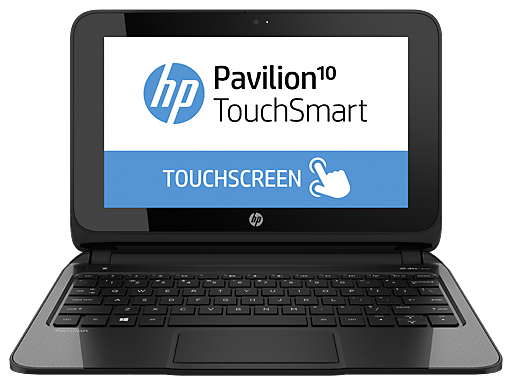 The 10.1 inch display features a maximum resolution of 1280 x 800 pixels, which is acceptable for a tablet. The edges of this device house two USB 2.0 ports, 1 micro HDMI port, a microSD card reader and a headphone jack. 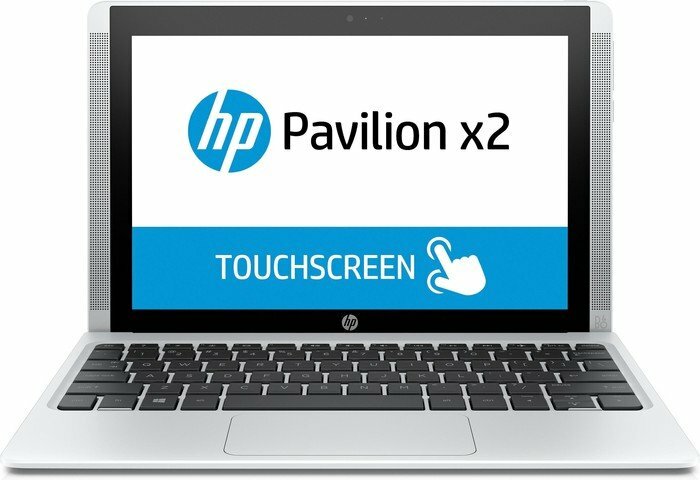 The weight of this tablet is 1.2 kg with the keyboard dock, which is relatively light, while the tablet alone weighs in at 0.58 kg. The battery life is fairly good with up to 6 hours of usage. The operating system used is the 32 bit architecture of Windows 8.1, which is great for touchscreen inputs. Overall, this convertible device is very portable and light with long battery life. Thus it is suitable for users who are constantly on the move. 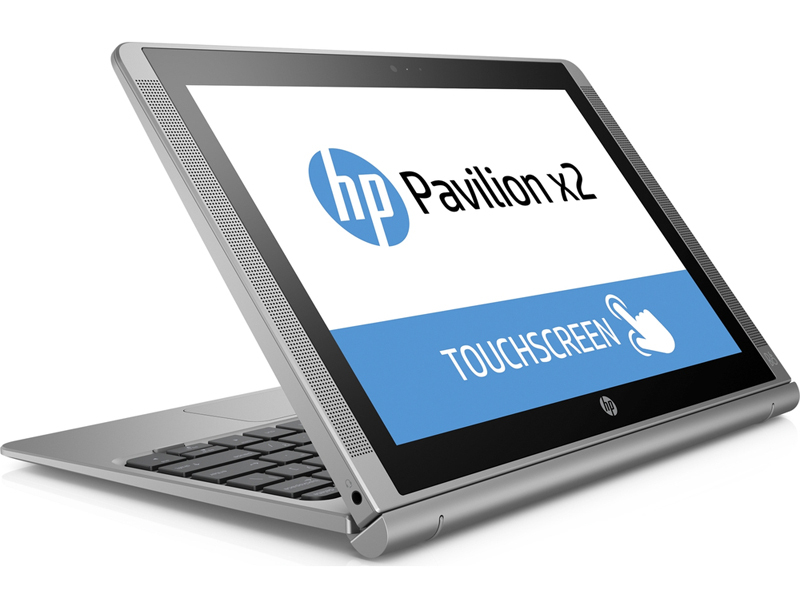 True, the Pavilion x2 is seriously lacking in some areas, and doesn't match its convertible brethren in others. Still, presumption-busting performance, full Windows 10 and a free subscription to Office's quality productivity software ensure that it remains a good deal. Spend more if you can, but if you can't, this is a respectable budget option. 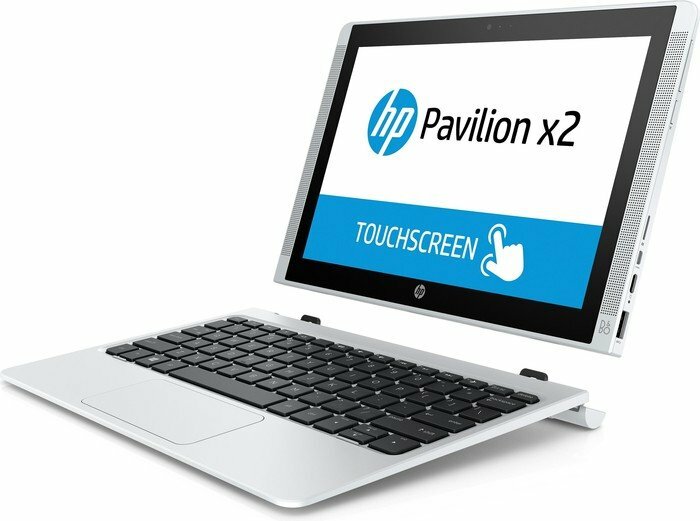 The HP Pavilion x2 might be a little tike of a 2-in-1 laptop, but it's a great Windows 10 device for media and basic computing tasks. 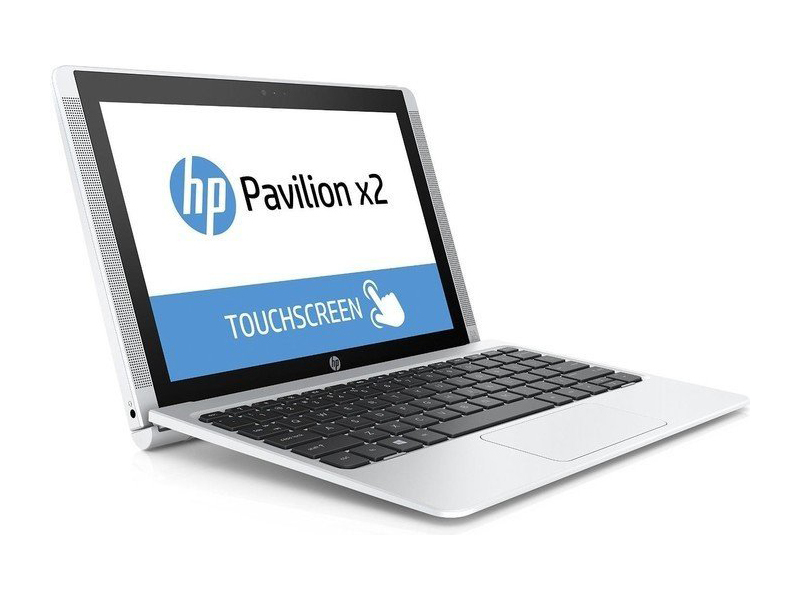 Points to HP for redesigning the Pavilion x2. 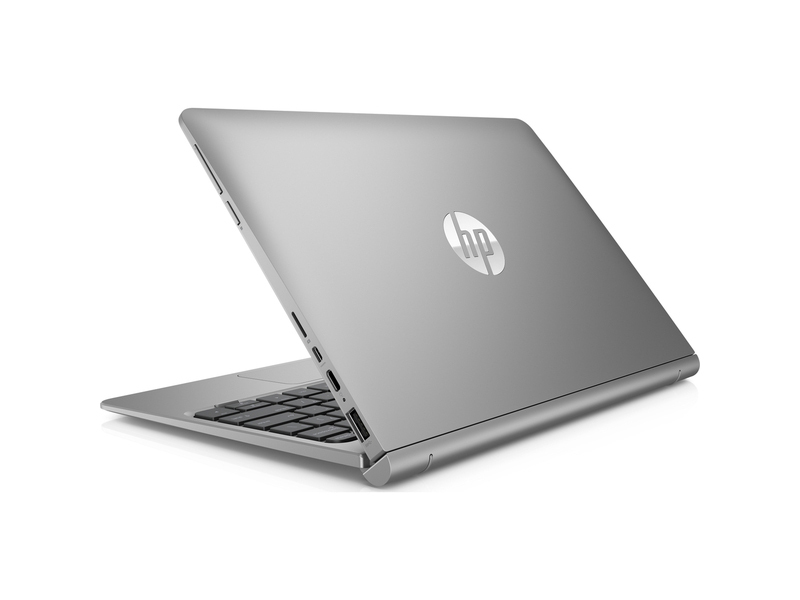 It looks great and really stands out from the crowded field of inexpensive Atom-powered laptops and hybrids. Under the skin, however, it offers pretty much the same hands-on experience as the competition. There’s still room for improvement, then, but at this price there’s little to complain about. Right now, the HP is one of the best budget hybrid devices you can buy, and it’s a handsome little devil, too. 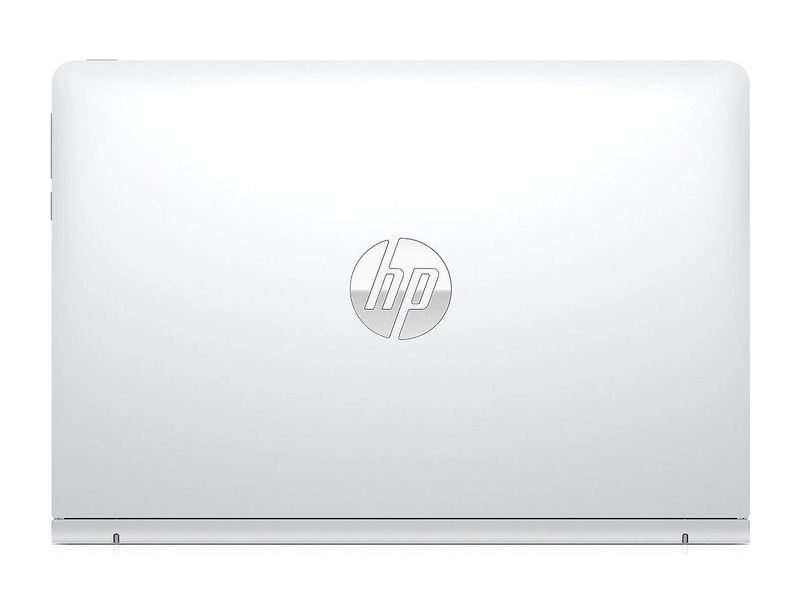 Find it in your heart to forgive the paltry storage and middling screen, and you have a capable hybrid for only £220. A bit of a bargain, in other words. 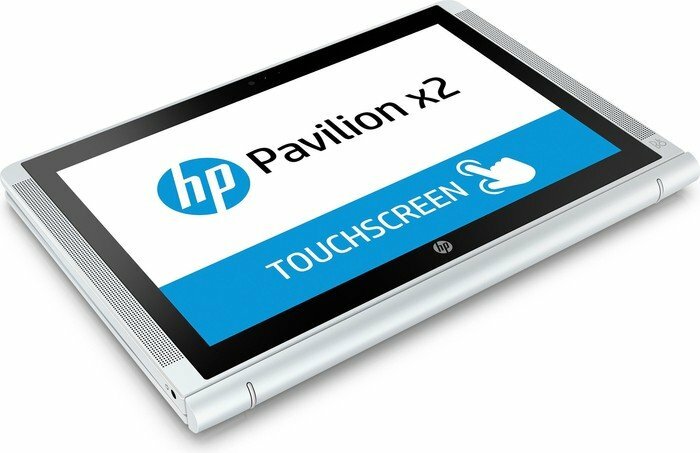 HP’s produced a mixed bag with the Pavilion x2. It’s essentially a very basic machine in the body of something far more flash. Does it work? Sort of, but you really need to be sure of what you’re after. A reliable and affordable two-in-one, but excellent alternatives are out there. 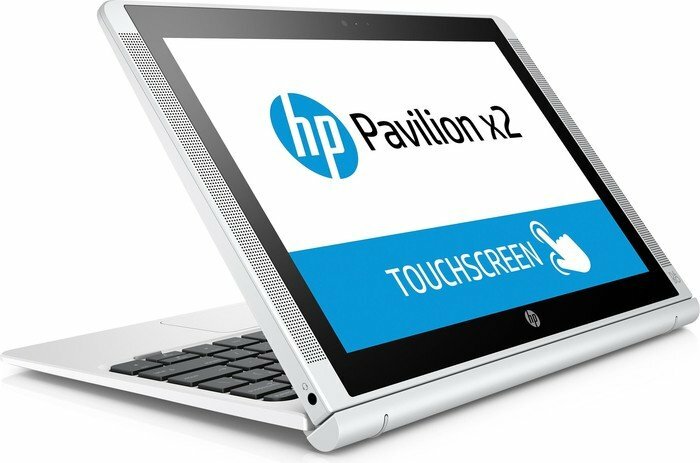 The HP Pavilion x2 is a good choice if you want an inexpensive laptop for performing basic tasks (word processing, watching videos, non-heavy-duty games) that runs Windows 8.1 and has good battery life. Beyond these tasks, this HP is soon out of its depth. 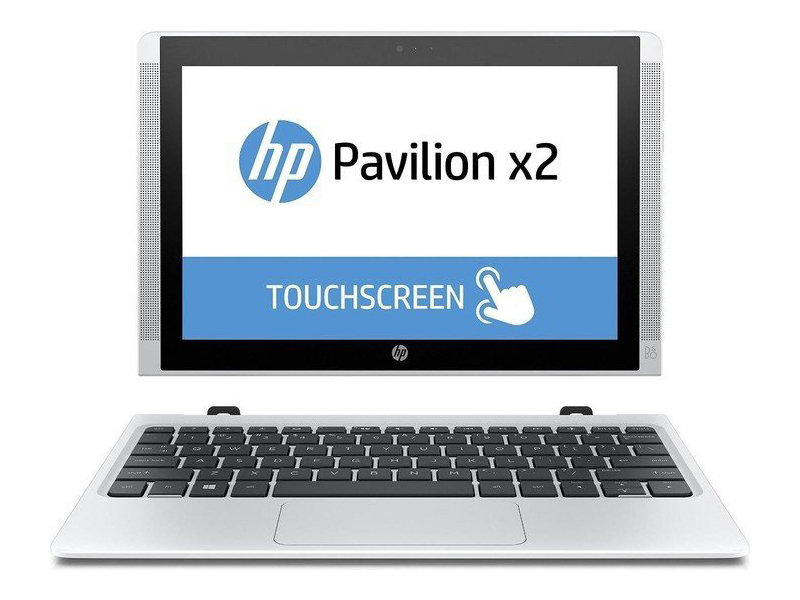 The HP Pavilion x2 is tablet/laptop hybrid with a detachable keyboard. The keyboard is connected with a magnet and can be folded in with the display facing up for convenience of storing the device. 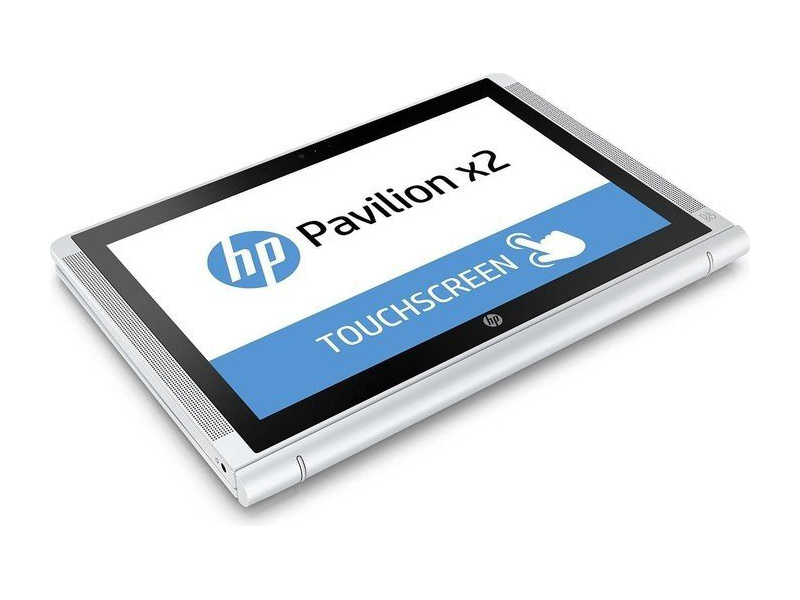 Its 10.1 inch WLED display features a resolution of 1280 x 800 pixels. For connectivity, the 1,6 kg devices comes with a USB 2.0 port, one of the all new type-C USB ports, Micro-HDMI and a 3.5 mm jack. 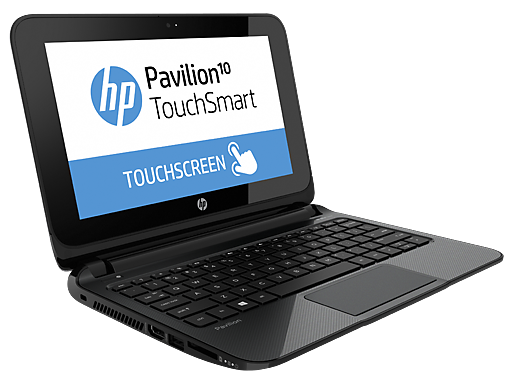 The hardware consists of an Intel Atom Processor Z3736F quad core CPU clocked at 1.33 GHz with 2 MB of cache, 2 GB of DDR3L 1600 SDRAM, and a 32 GB eMMC storage drive. 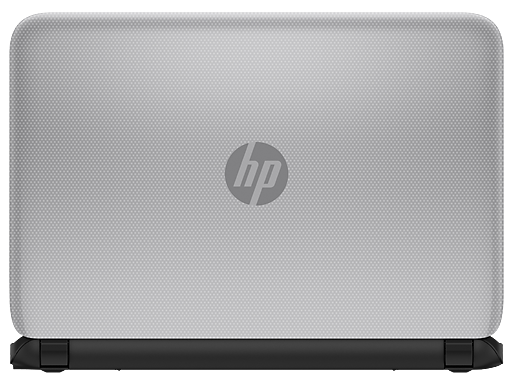 Graphics is handled by the integrated Intel HD Graphics. This device come with Windows 8.1(32-bit) and can be easily upgraded to Windows 10 if required. The 33 Wh Lithium Polymer battery with 2 cells should last about 12 hours of normal use and it is ENERGY STAR certified. This device is great for everyday tasks like taking notes and emailing, but it cannot cope with heavy load because of low powered hardware. 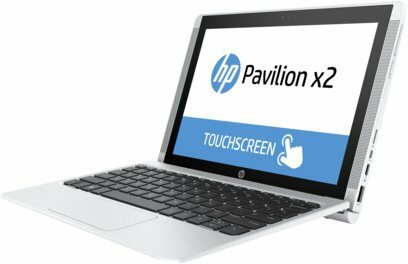 With Windows 10 installed, the HP Pavilion x2 is a force to be reckoned with, and while its specifications may make its £250 price seem slightly over the odds, its impressive design and build quality, usable keyboard and great battery life more than make up for it. 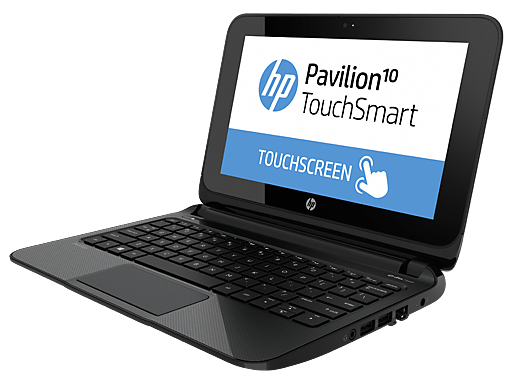 If you only want one device in your life and your needs are modest, the HP Pavilion is a great choice. 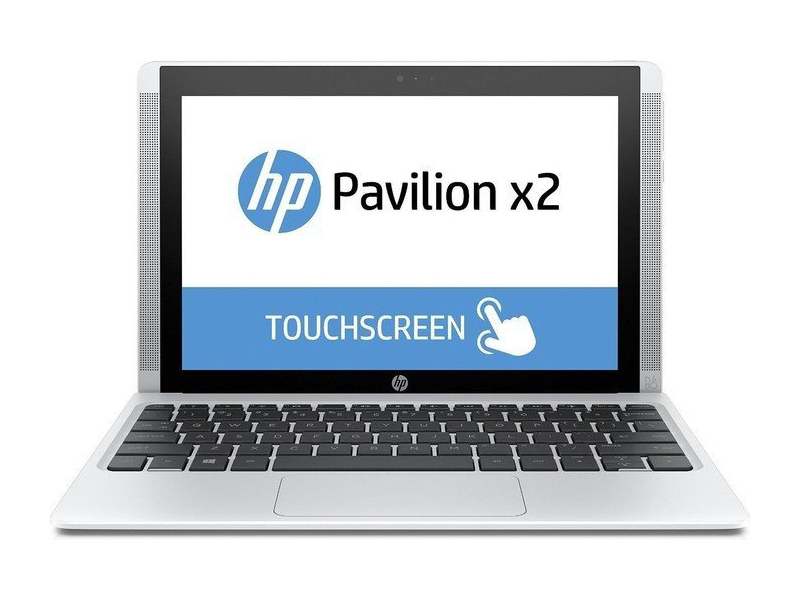 Positive: Nice appearance; decent hardware; good set of interfaces; good price. Negative: Not so comfortable keyboard; low resolution screen. 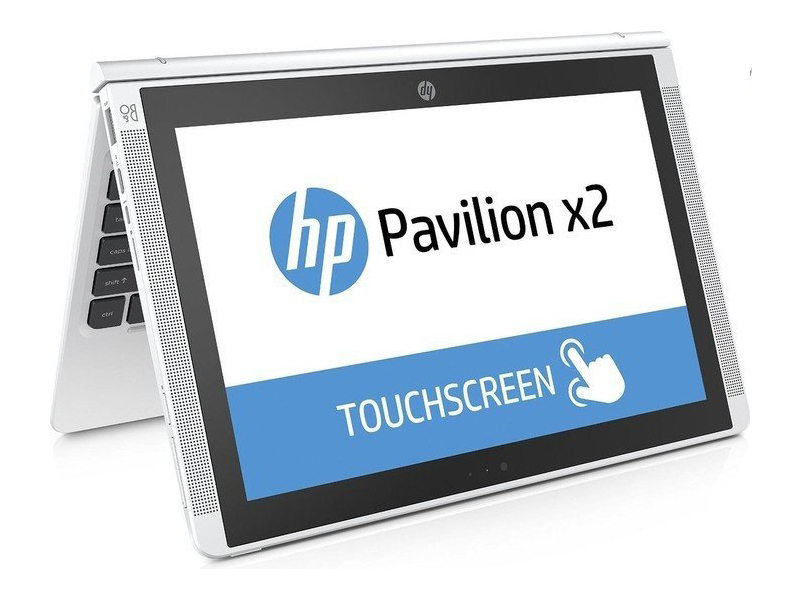 The HP Pavilion x2 10-n125tu is a 2-in-1 hybrid laptop designed for people who want to do their work on the go. The chassis is made of plastic, but it feels robust and durable. The Windows 10 Home 64-bit system comes with a 1.44 GHz Intel Atom Z8300, an Intel HD Graphics, a 500 GB SATA HDD with 5400 RPM and 2 GB DDR3L SDRAM. Its anti-glare 10.1 inch UWVA WLED display features a WXGA resolution (1280 x 800) and supports touch input. 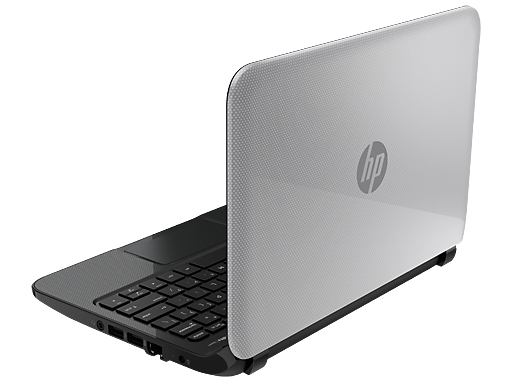 The Chiclet keyboard is comfortable and fast to type on. The connectivity includes a USB 3.0 port, a USB 2.0 port, an HDMI port, a headphone/microphone combo jack and a microSD card reader. 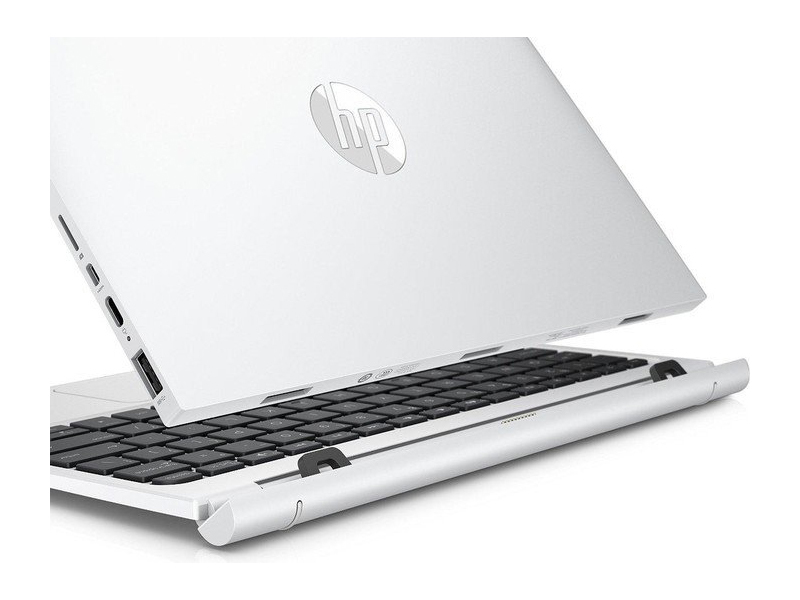 In addition, the convertible features a HP TrueVision HD webcam with integrated dual array digital microphone, which is suitable for video calls. 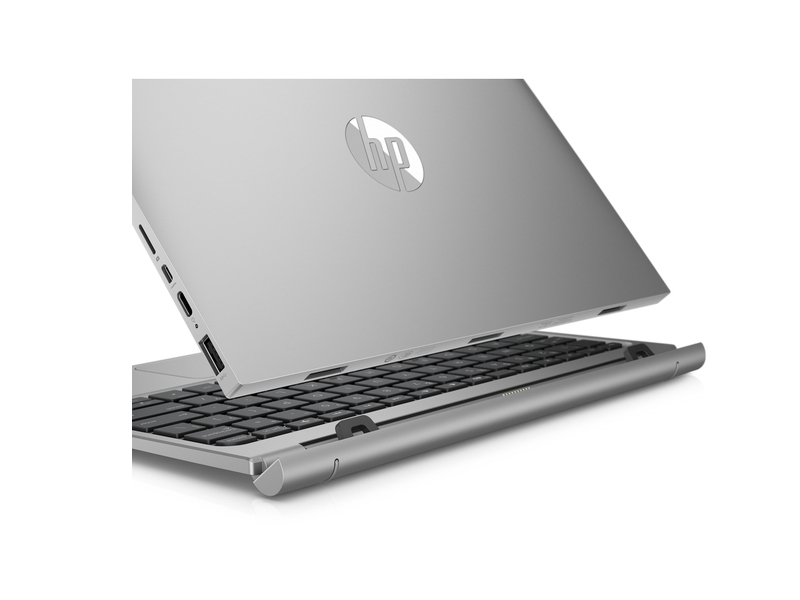 The laptop has a weight of 1.18 kg and its battery lasts up to 7 hours, although HP claims up to 12 hours. Intel HD Graphics 400 (Braswell): Integrated graphics card in the Intel Braswell series (2016 Celeron) processors. Based on the Broadwell architecture (Intel Gen8) supporting DirectX 11.2. Depending on the processor offers 12 shader cores (EU) and different clock speeds.» Further information can be found in our Comparison of Mobile Graphics Cards and the corresponding Benchmark List. A4-1200: Dual-core APU for ultraportables and tablets, codenamed Temash. Based on the Jaguar architecture. Integrates a Radeon HD 8180 graphics card.Intel Atom: The Intel Atom series is a 64-Bit (not every model supports 64bit) microprocessor for cheap and small notebooks (so called netbooks), MIDs, or UMPCs. The speciality of the new architecture is the "in order" execution (instead of the usual and faster "out of order" execution). Therefore, the transistor count of the Atom series is much lower and, thus, cheaper to produce. Furthermore, the power consumption is very low. The performance per Megahertz is therfore worse than the old Pentium 3M (1,2 GHz on par with a 1.6 GHz Atom). 70.45%: This rating is bad. Most notebooks are better rated. This is not a recommendation for purchase.» Further information can be found in our Notebook Purchase Guide.